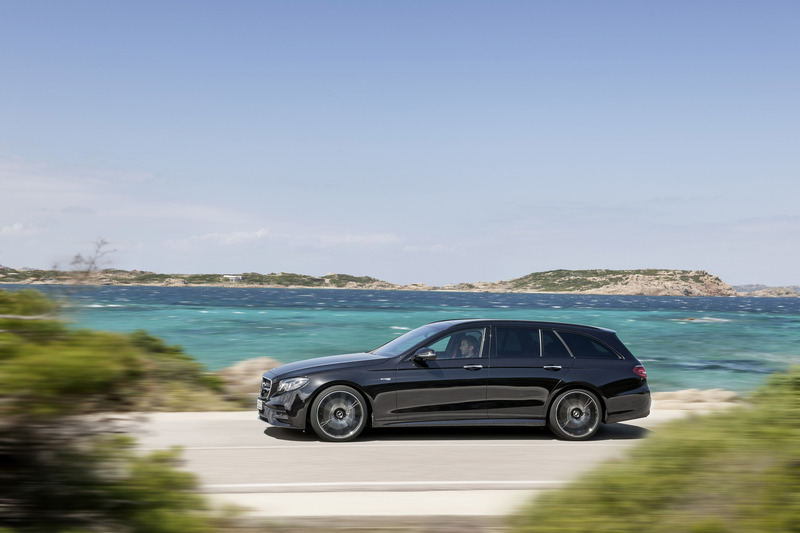 Coinciding with the world premiere of the new E-Class Estate from Mercedes-Benz, Mercedes-AMG is presenting the new E 43 4MATIC Estate. 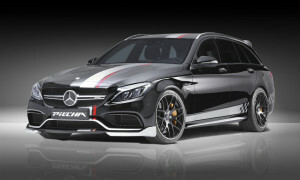 With the powerful 295 kW (401 hp) 3.0-litre V6 biturbo engine, 9G‑TRONIC automatic transmission with shortened shift times, rear-biased AMG Performance 4MATIC all-wheel drive and model-specific suspension, the first performance stage of this all-rounder boasts the AMG brand's hallmark driving performance. 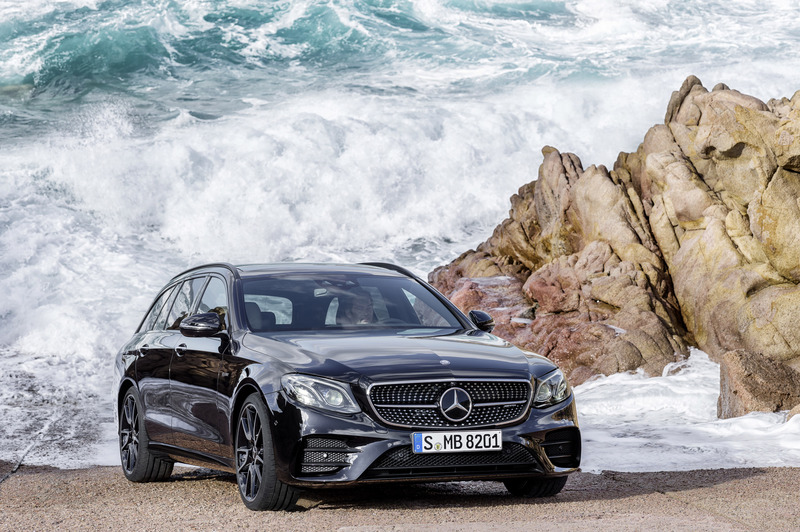 The striking exterior design and more sporty interior underline the model's membership of the AMG family, and immediately indicate what the new E 43 4MATIC Estate is mainly about: the driving performance that is a hallmark of the brand. 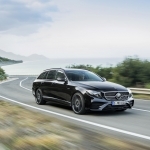 "In recent months we have considerably expanded our model range for performance-oriented customers with our new 43 models, creating numerous new ways of entering the world of Mercedes-AMG. 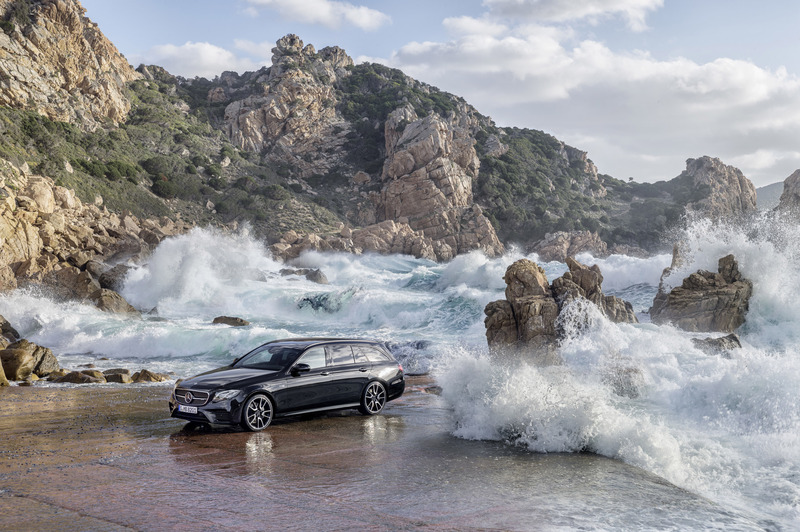 The new E 43 4MATIC Estate adds a particularly versatile alternative for business and recreation to this portfolio," says Tobias Moers, Chairman of Mercedes-AMG GmbH. 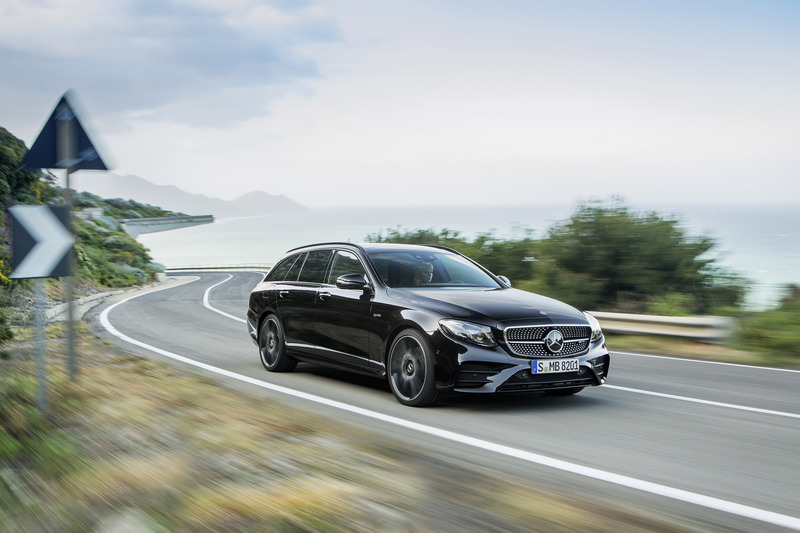 As in the case of the E-Class Saloon, Mercedes-AMG has also increased the output of the six-cylinder engine in the Estate model to 295 kW (401 hp) with the help of two larger turbochargers and specific software applications. The peak torque of 520 Newton metres is already available from 2500 rpm. 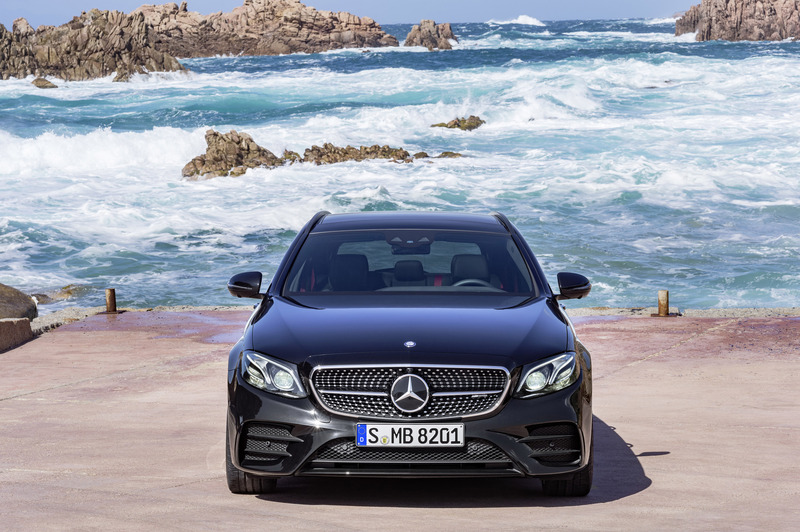 This package guarantees performance on a par with many a sports car: the new E 43 4MATIC reaches a speed of 100 km/h from a standing start in 4.7 seconds, while its top speed is electronically limited to 250 km/h. 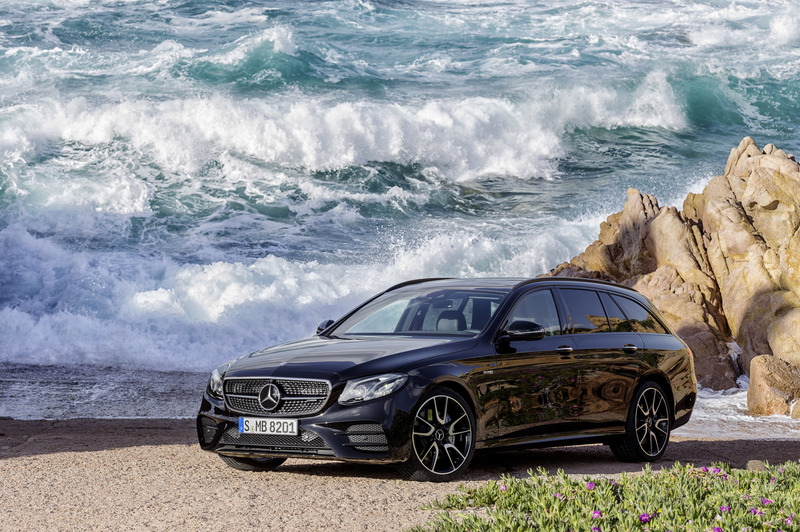 Sporty and distinctive: the exterior design With its striking exterior design, the new E 43 4MATIC Estate is immediately recognisable as a member of the AMG family. Three large apertures in the front apron emphasise its muscular and self-assured appearance. Two transverse fins and the front splitter are finished in silver chrome. A suggestion of a horizontal flic on the outer, black grilles emphasises the visual effect and creates a link with motorsport. 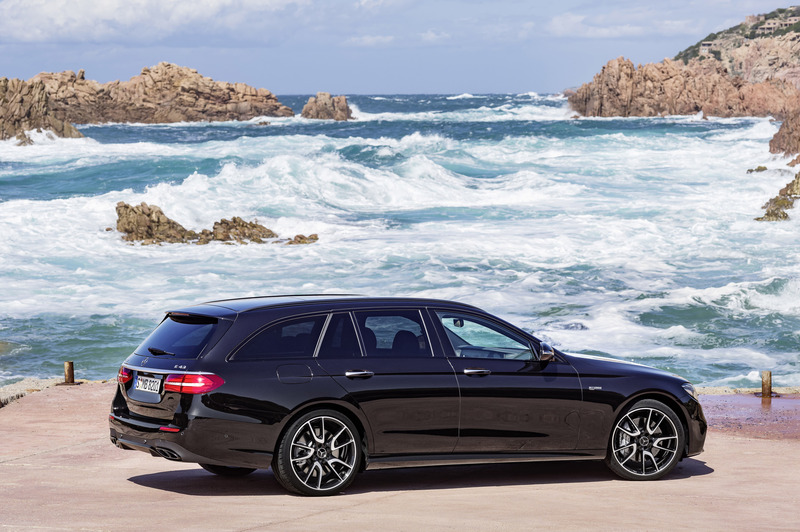 The diamond radiator grille with chromed pins and the single transverse louvre in high-gloss black with inserts in highly polished chrome are further distinguishing features of the E 43 4MATIC Estate. 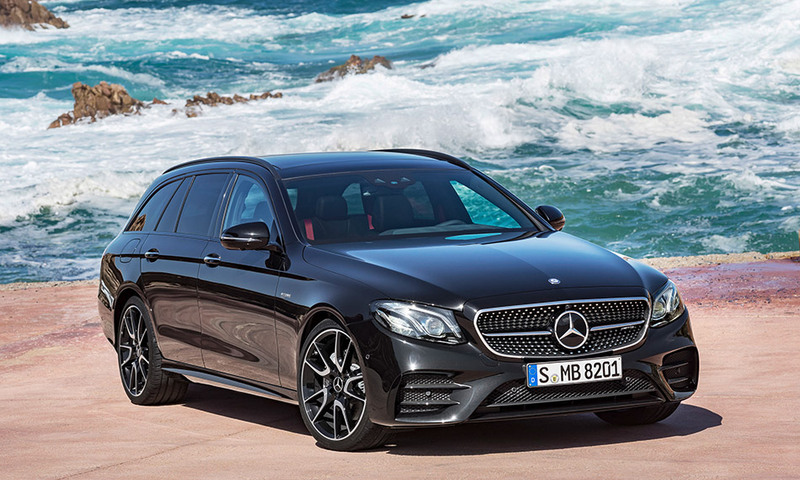 The side view is dominated by high-sheen 19-inch AMG five-twin-spoke light-alloy wheels painted in high-gloss black. 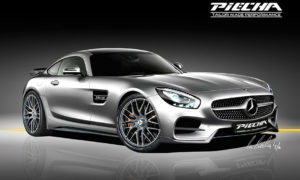 Other features include sporty side sill panels and the "BITURBO 4MATIC" badge on the front wings. The rear end likewise has sporty touches, with two exhaust tailpipes in highly polished chrome with a centre bar conveying a particularly sporty impression. The rear apron trim in a diffuser look is in silver chrome, while the roof spoiler on the tailgate is painted in the vehicle colour. 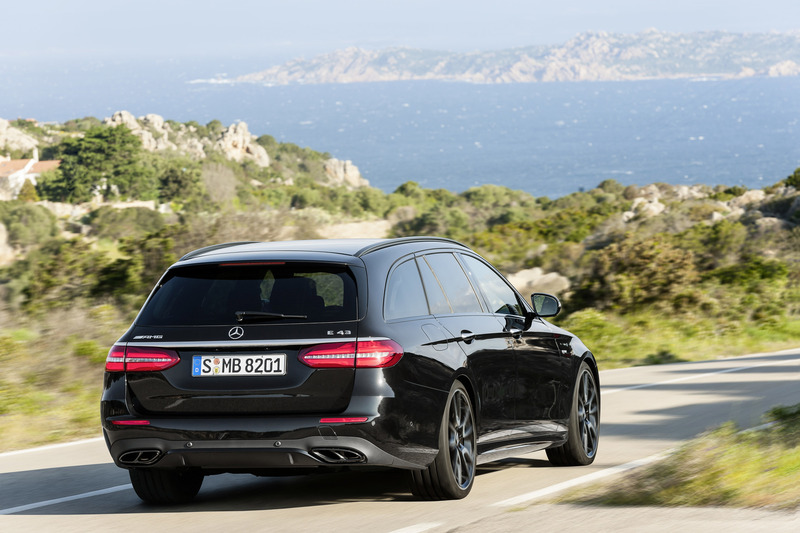 Sporty look with model-specific details: the interior design The interior reinforces the dynamic nature of the new E 43 4MATIC Estate with numerous individual details. Consistent use of trim in authentic materials, as well as uniform colours and materials from the dashboard to the interior door panels, produces a wrap-around effect which makes the driver feel at one with the Estate. The predominant interior colour black has red highlights as an appealing contrast. The multifunction sport steering wheel in black nappa leather with area perforations, red contrasting topstitching and a flattened lower section is ideally suited to a brisk driving style. It features the new Touch Control buttons, which control the entire infotainment system without the driver's hands having to leave the steering wheel. The driver and front passenger find a secure position in the sports seats even when driving at speed, thanks to the improved lateral support. The upholstery in ARTICO man-made leather/DINAMICA microfibre in black with red topstitching (optionally: nappa leather with trim strips in DINAMICA microfibre with red piping) has a distinctive pattern layout. To match the seat design, the door centre panels and the dashboard are finished in ARTICO man-made leather with red topstitching. Aluminium sports pedals with black studs, a black roof lining and red seat belts add further sporty highlights. The Widescreen cockpit with a high-resolution, multifunction double colour display can be individually configured and has its own AMG graphics. Numerous driving dynamics parameters can also be displayed here. 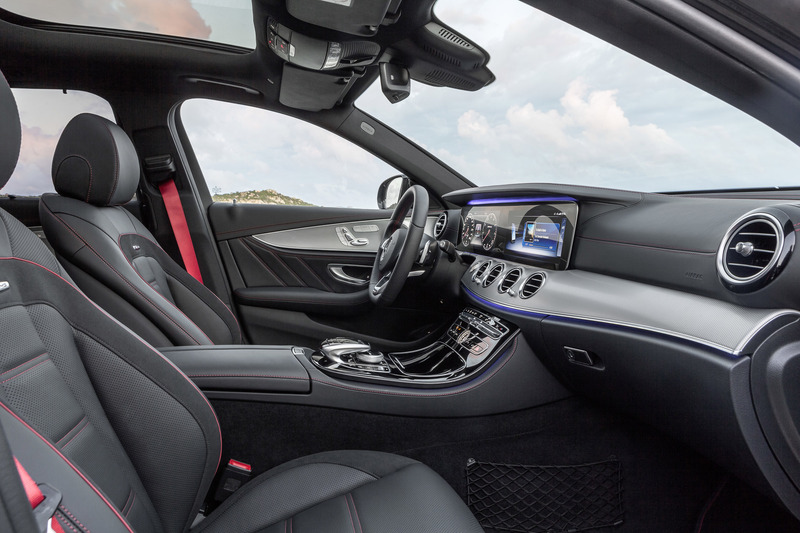 In the AMG-specific control panel in the centre console, the driver is able to use separate keys to select the functions for manual transmission mode (Long-term M), AMG RIDE CONTROL adjusable damping and 3-stage ESP®. 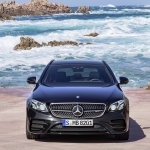 High on power, low on consumption: the AMG 3.0-litre V6 biturbo engine The V6 biturbo engine boasts a high power output combined with low fuel consumption and emissions. The high power output of 295 kW (401 hp) is attributable, among other things, to new, larger turbochargers and the higher charge-air pressure of 1.1 bar. Installed close to the engine, the two turbochargers are especially spontaneous in their response. The NANOSLIDE® coating on the cylinder liners has also undergone further development in the Formula 1 V6 hybrid turbo engines from Mercedes-Benz. Especially tough and therefore wear-resistant, this coating also reduces friction, thereby contributing to higher efficiency. The same applies to the spray-guided multiple injection with up to 200 bar fuel pressure. The AMG powerplant can be identified by the red aluminium insert on the engine cover. 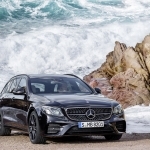 9G-TRONIC automatic transmission with shorter shift times The new E 43 4MATIC Estate is equipped with the 9G-TRONIC automatic transmission, which Mercedes-AMG developers have specially configured for a more dynamic driving experience. They have managed to reduce the shift times of the 9-speed transmission by means of a dedicated software application. The multiple downshift function allows more spontaneous short bursts of speed, while the double-declutching function in "Sport" and "Sport Plus" transmission modes makes for an even more emotional driving experience. Defined ignition intervention additionally enables faster gear shifting than in "Eco" and "Comfort" modes. "Manual" mode can be selected using a separate button in the centre console. The gear changes are based on the selected transmission mode, and the driver can now change gear using the paddles on the steering wheel. Moreover, the transmission stays in the selected gear and does not automatically shift up when the engine speed reaches the limit. More agility: the sports suspension based on AIR BODY CONTROL For more agility, more neutral cornering characteristics and higher traction even at high speeds, the Affalterbach developers have designed an autonomous sports suspension on the basis of the AIR BODY CONTROL air suspension. The four-link front axle is fitted with special steering knuckles and load-bearing joints; all components have been optimised in terms of rigidity. A more negative camber on the front axle and on the multi-link rear axle enhances lateral dynamics. The elastokinematics of both axles have been designed to be more rigid in general. All these measures improve agility, and boost the dynamics. The multi-chamber air suspension system with a sporty spring/damper setup and continuously variable damping adjustment combines excellent vehicle dynamics with a high level of ride comfort. A harder spring rate, for example when cornering and braking, effectively reduces rolling movements. The damping at each wheel is automatically adjusted to suit the current driving situation and the condition of the road. This is done rapidly and precisely, using two separate valves for the rebound and compression forces in the dampers. The damping characteristics can also be preselected in three modes, "Comfort", "Sport" and "Sport Plus", allowing a wider spread between excellent long-distance comfort and sporty driving dynamics. 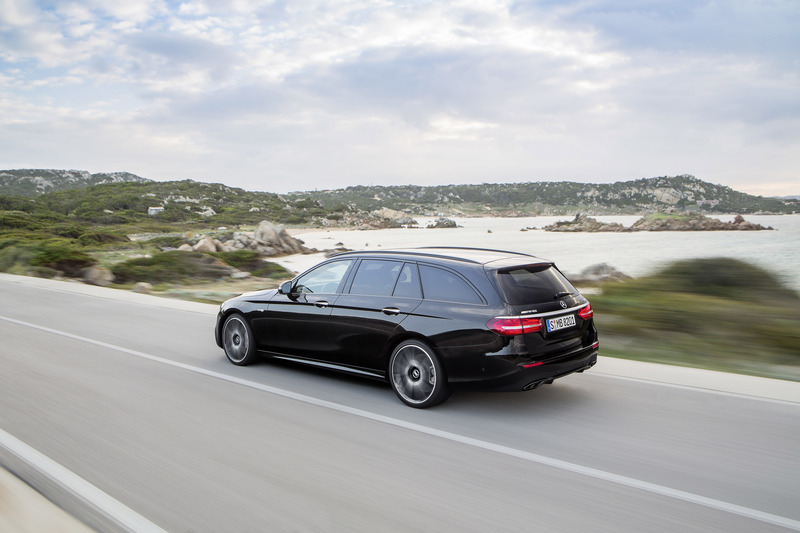 Thanks to all-round pneumatic level control, the E 43 4MATIC Estate has a constant ride height irrespective of the payload. To increase ground clearance, for example to negotiate steep entrances into underground car parks or on ramps, the vehicle level can be raised at the touch of a button when the engine is running, either when stationary or on the move. The level is lowered automatically when driving at higher speeds. This improves handling stability thanks to a lower centre of gravity. 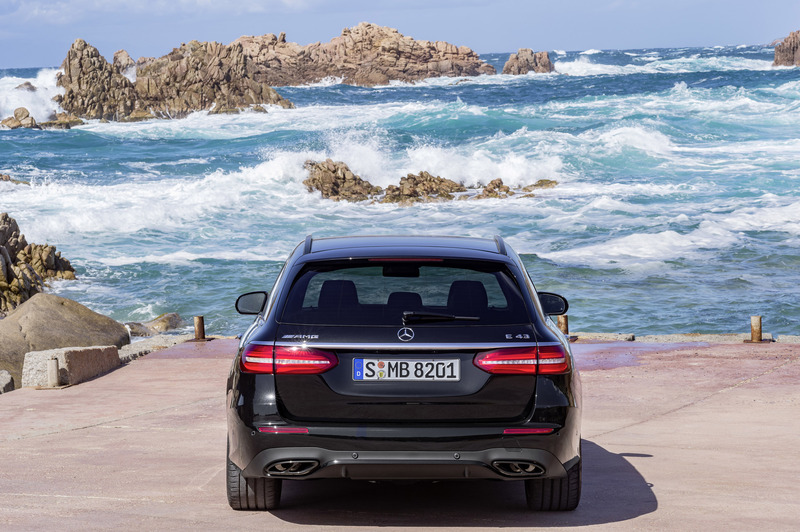 Rear-biased and agile: AMG Performance 4MATIC The standard-specification AMG Performance 4MATIC four-wheel drive features rear-biased torque distribution with a front/rear axle split of 31 to 69 percent. This configuration provides for enhanced driving dynamics and higher lateral acceleration on the road as well as improved traction when accelerating. The single-stage transfer case of the four-wheel drive is flange-mounted on the 9G‑TRONIC as a separate system. The add-on solution makes it easier to modify torque distribution according to the model, thus allowing even more individual characteristics for the respective model series. The new system is also more effective by virtue of improved efficiency, reduced friction and a lower weight. Its compact design additionally means that it does not entail any space restrictions for passengers or luggage. 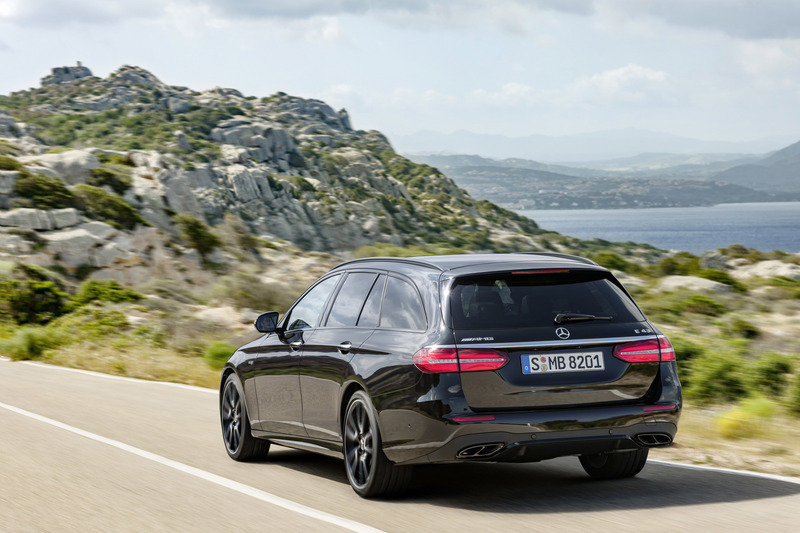 Characteristics at the tap of a finger: AMG DYNAMIC SELECT With the five DYNAMIC SELECT transmission modes "Eco", "Comfort", "Sport", "Sport Plus" and "Individual", the driver can tailor the characteristics of the E 43 4MATIC Estate to individual preferences at the tap of a finger. The available range extends from efficient and comfortable to very sporty. This modifies key parameters, such as the response of the engine, transmission, suspension and steering. Independently of the DYNAMIC SELECT transmission modes, the driver has the option of pressing the "M" button to switch directly to manual mode, in which gearshifts are executed exclusively using the shift paddles on the steering wheel. The suspension set-ups can also be selected as necessary. 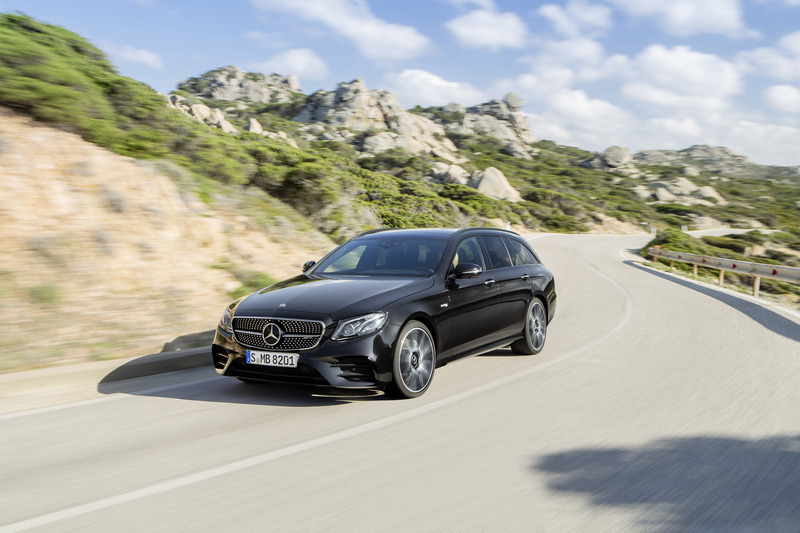 The DYNAMIC SELECT "Sport" and "Sport Plus" transmission modes are configured with a clear emphasis on driving dynamics in the new E 43 4MATIC Estate. This results from an agile accelerator pedal characteristic with direct set-up and emotional gear shifting with reduced shift times, double declutching and deactivation of certain cylinders. The increased idling speed additionally enables the vehicle to move off particularly quickly, and provides for faster acceleration from a standing start. In "Eco" mode, on the other hand, the ECO start/stop function and the gliding function reduce fuel consumption: when the driver releases the accelerator in a speed range between 60 and 160 km/h, the clutch is disengaged and the engine is decoupled from the powertrain. At the same time the electronics reduce the engine speed to idling level, and the driving resistance is reduced by the compression and frictional forces of the engine in overrun mode. 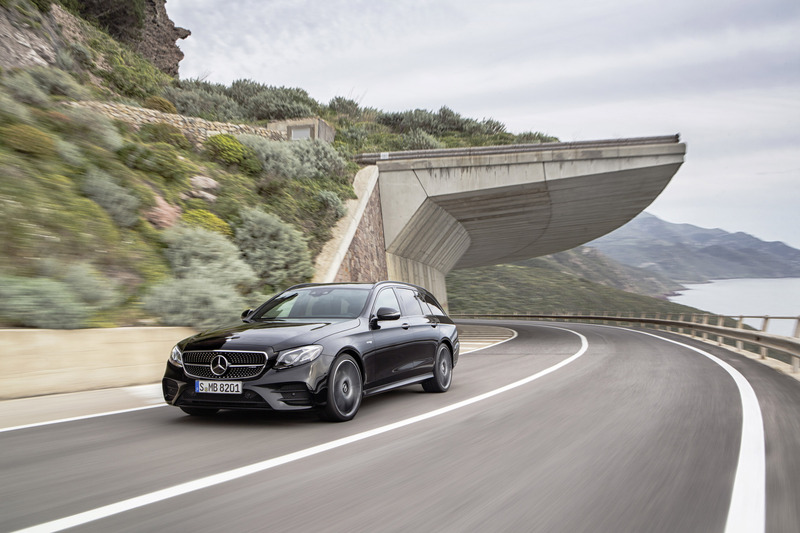 Direct and with clear feedback: speed-sensitive sports steering The speed-sensitive sports steering features a variable ratio on the E 43 4MATIC. It stands out with its precise, highly authentic feedback. Steering power assistance is available in a choice of two modes – "Comfort" or "Sport". The relevant characteristics are automatically activated depending on the selected DYNAMIC SELECT transmission mode or can be personalised in "Individual" mode. Manual torque is increased in "Sport" mode, providing more feedback on driving conditions. The large braking system with internally ventilated compound brake discs ensures reliable and quick deceleration of the saloon. Perforated and internally ventilated brake discs in size 360 x 36 mm with 4-piston fixed callipers and AMG lettering are fitted at the front, with perforated and internally ventilated discs in size 360 x 26 mm and single-pison floating callipers at the rear. 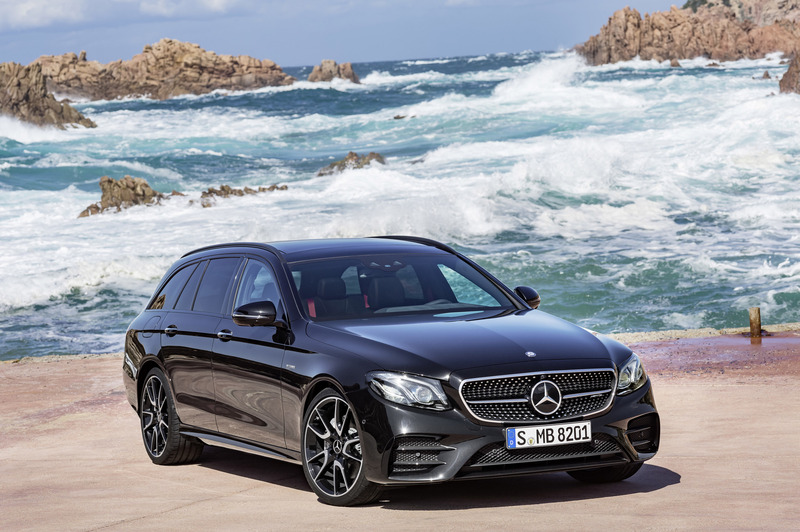 Optional features with a sporty emphasis The optionally available features also emphasise the sporty character of the E 43 4MATIC Estate. 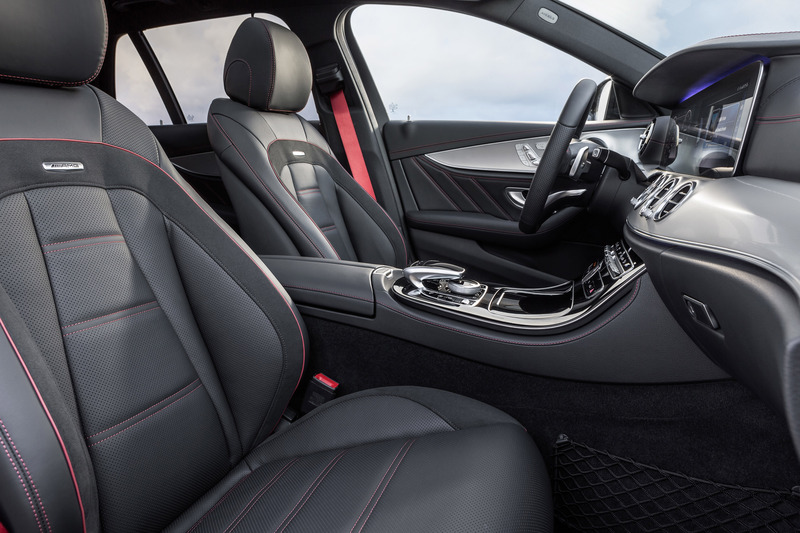 These range from AMG Performance seats with increased lateral support through nappa leather upholstery and carbon-fibre trim in the interior to 20-inch bichromatic wheels. 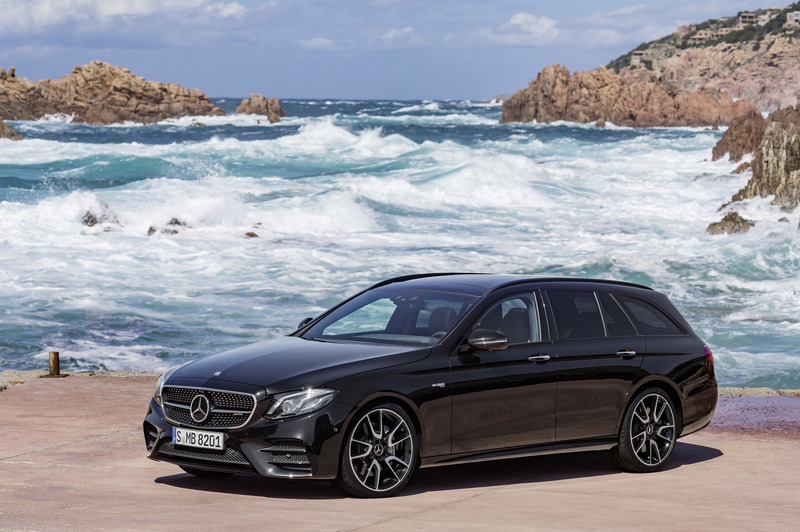 The new Mercedes-AMG E 43 4MATIC Estate will celebrate its world premiere at the same time as the Mercedes-Benz Estate model, on 6 June 2016 – the sales release date is 14 September 2016, with the market launch beginning in December 2016.